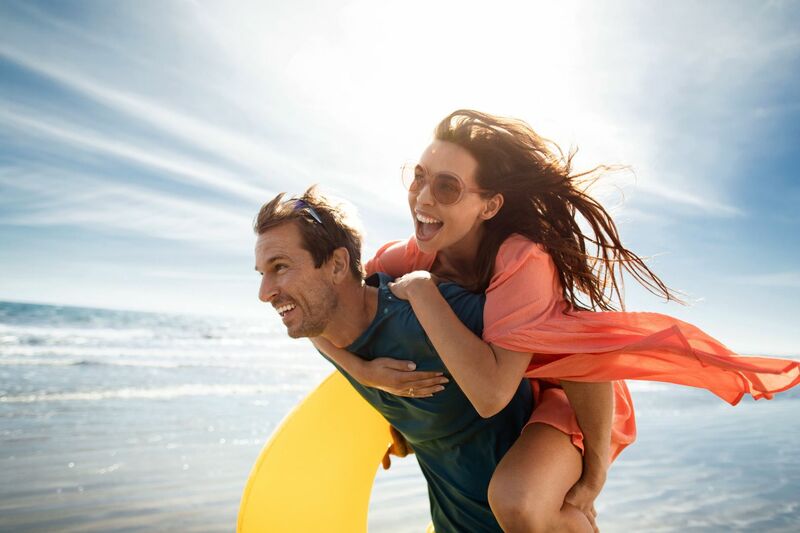 There’s nothing like a romantic break away with your sweetheart to give your love life a boost and we’ve got just the place to do so. You’ll find everything you need for a blissful, romantic break on the island of Gran Canaria. From lazy beach days to watching the sun rise on top of one of the island’s highest peaks, Gran Canaria offers the perfect balance between relaxation and adventure. 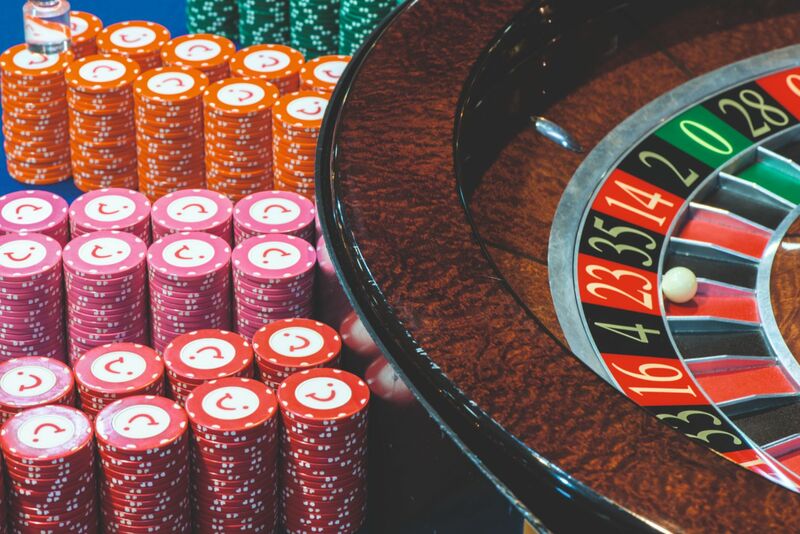 You’ll find plenty of restaurants with sea views for romantic, candlelit dinners or if you’re after a little more excitement, get your glam on and try your luck at one of the island’s casinos. There are a variety of beaches around the island, take Maspalomas for example. This popular stretch of sand is home to some spectacular sand dunes, making the ideal spot for watching the sunrise. Or if you’re not such an early bird, head down to its golden sands a little later in the day where you’ll find serviced sunloungers to bathe on or an array of water sports to take part in. 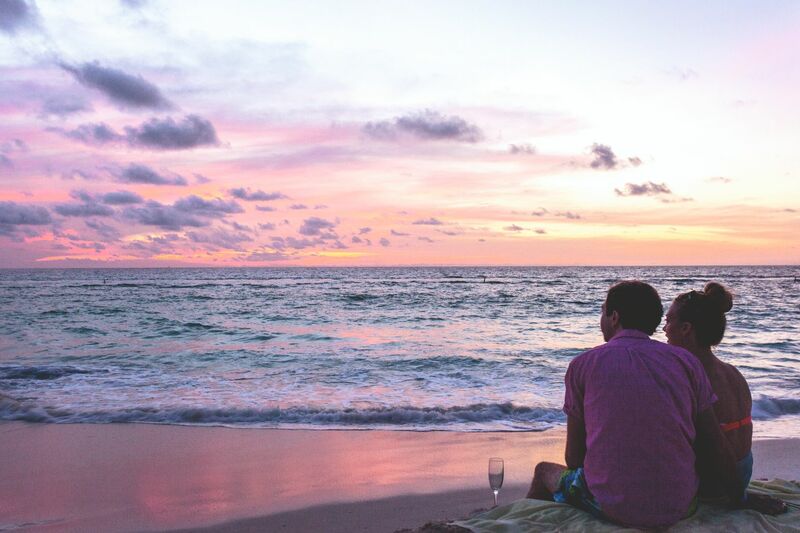 If you’re the kind of couple who prefer a more local feel to your holiday, head to Las Canteras Beach which can be found in the middle of Las Palmas. With over three kilometres of gorgeous golden sand and sheltered by a lava rock reef, the whole stretch is a marine reserve making it a great spot for snorkelling. Despite it being tucked away from the resorts, don’t worry you’ll still find plenty of local bars and restaurants on the beach front. For something totally secluded and away from the rest, there’s Playa de Guigui. This is Gran Canaria’s most famous isolated and unspoilt beach which can be reached via a 90-minute trek each way or a shuttle boat. Divided into two bays and surrounded by volcanic rock, this beach is a world away from the crowds. 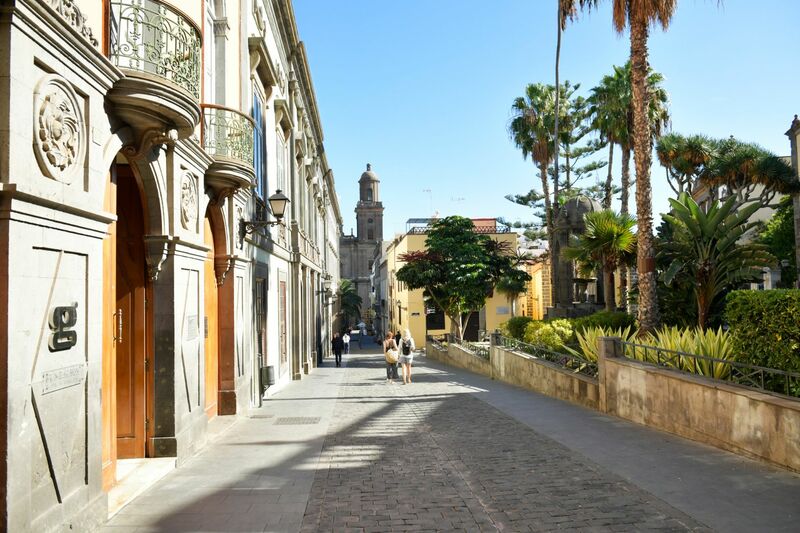 Las Palmas is packed with traditional architecture and picturesque plazas to wooden balconies and cobbled streets. Take a romantic stroll around the historic centre in the popular area of Vegueta and soak up some of the island’s history. Cool down in the chapel of San Antonio Abad and admire the Baroque alter, this stands in the same spot where Columbus attended mass before embarking on his journey to the Americas. Or walk through the old market which dates back to 1854. Finish off your day in the capital at the stylish restaurant, Kitchen Lovers. Tucked away at the end of the main promenade you’ll enjoy beautifully presented dishes combining Italian and Spanish flavours in an ambient setting, not to mention phenomenal sea views. Make sure you book in advance and, for the best views request a window table. To inject some excitement into your trip, get glammed up and try your luck at the casino. You’ll find two main casinos on the island but the show stopper is the Gran Casino Costa Melanores in the south. You’ll immediately feel like Hollywood stars as you enter the palatial building surrounded by lush tropical gardens. This elegant casino offers all the classics from roulette and poker to an abundance of slot machines. It also provides live music and dancing on the main hall’s stage. A little tip for you — if you tip the dealers after winning a pot you’ll be met with free drinks at the bar. 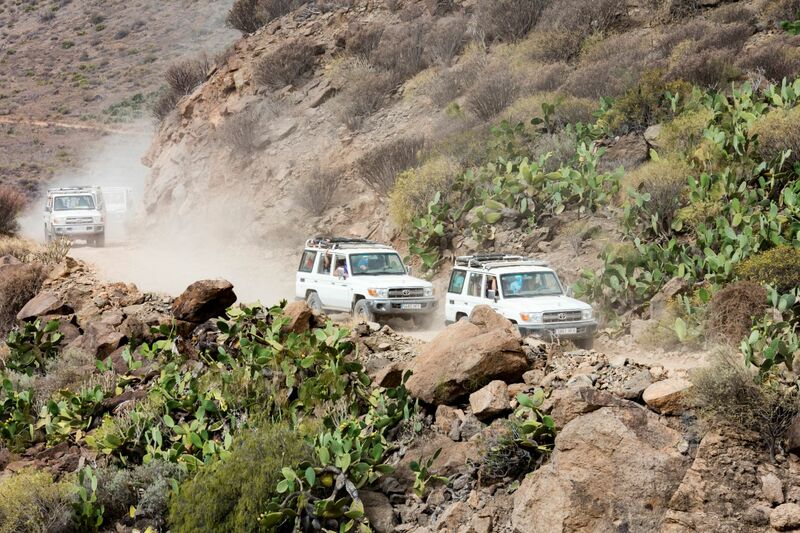 If you have a keen sense of adventure and love exploring, Gran Canaria offers a whole host of exciting activities. From taking to the sea and kayaking around the caves near Taurito and Mogan, to hitting the beach for some adrenaline pumping kite surfing, there’s something for everyone. The fun doesn’t stop there, away from the beach you’ll find camel and horse-trekking through the enchanting Fataga ravine. Or there’s the option to go on an off-road buggy tours along uninhabited dirt tracks. One thing’s for sure, Gran Canaria offers a spectacular sunset show. Take a break from the beach and head inland to climb to the top of the islands famous volcanic rock, Roque Nublo — one of the best places to catch the sunset with panoramic views of the island’s diverse centre. Roque Nublo is on several of the main walking routes and can be reached from Tejeda village or across the top from San Bartolome or Cruz de Terjeda. The drive here is nice and slow, through winding roads with breathtaking scenery offering ample pit stops for photo opportunities along the way. Alternatively, if you haven’t hired a car, many tour operators offer day trips to this area of natural beauty. Wine and dine at Restaurante la Aquarela, one of Gran Canaria’s smartest restaurants. With Michelin style service and picturesque views of the bay, this fine dining restaurant is worth every penny. Book in advance to guarantee a table, as this is one of the island’s most highly-rated establishments. If you’re music lovers, head to Garbo’s. You’ll be served by professional singers and dancers at this classy dinner theatre who will provide you with an evening of all around entertainment. A romantic getaway to Gran Canaria wouldn’t be complete without a trip to Little Venice. Nestled on the southwest coast of the island, you’ll find the charming fishing village of Puerto Mogan. Easily reached by car, bus or ferry the chic resort is a must–visit spot during your stay. Nicknamed ‘Little Venice’ because of its gorgeous network of canals and bridges, you’ll find pretty streets lined with bougainvillea, palm trees and tropical flowers. Enjoy a picturesque stroll around the marina which is lined with superb fish restaurants or pop into one of the many boutiques along the pedestrianised streets. The resort also offers a stunning beach covered in golden sand imported from the Sahara. The protected bay provides fantastic views of the Atlantic Ocean with a dramatic back drop of rocky mountains towering in the distance. Tempted to treat your partner to a romantic getaway? 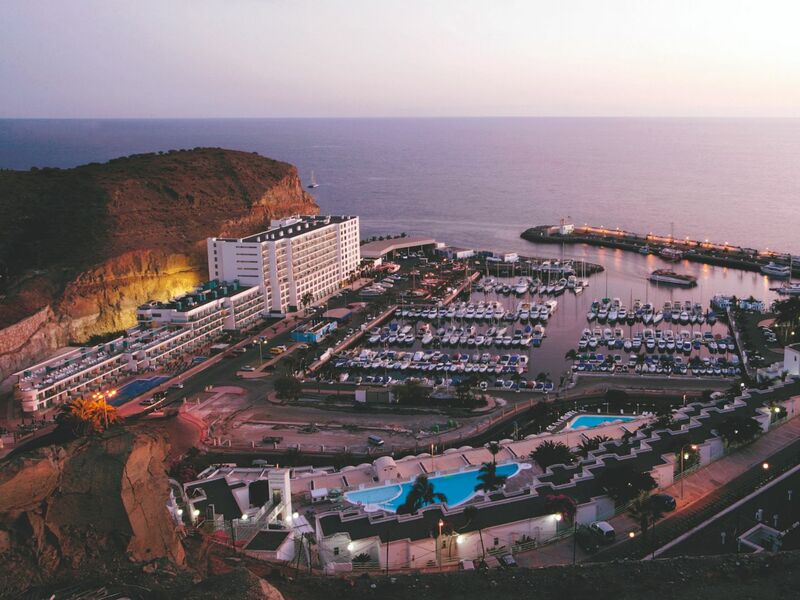 Book your Gran Canaria getaway today.